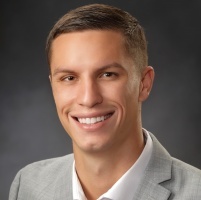 Garrett Vernau is the newest member of the HER Realtors team. Before getting his real estate license at Hondros College, he received his Bachelors degree from Tiffin University while playing for the baseball team. Garrett brings all the qualities it takes to make his new HER team successful and will do the same in making your home buying/selling have the same outcome. He is devoted to his new profession and looks forward to getting acquainted with you. In his spare time you can find Garrett on the local golf course at Denison Golf Club trying to find his tee shot. Otherwise he is involved in all local events, sports and activities, will be walking his dog around the village & enjoying the summer farmers market.